Yvonne Glasgow has read 43 of 150 books. Yvonne Glasgow read 163 books of her goal of 100! Yvonne Glasgow read 79 books of her goal of 50! Yvonne Glasgow is an author, poet, writer, artist, and healer. You may be surprised, but all of these things mesh well together, and through these passions, Yvonne works to help other people find their creativity through her writing. Yvonne Glasgow has been working as a freelance writer since 2000 when she wrote her first music review. Yvonne still writes reviews, but in those 17 years she has honed her experience as a freelance writer and moved from doing it part-time to doing it as a full-time career. Yvonne has experience in social media writing, marketing writing, SEO and link building, and both short and long-form writing for articles and blogs. She has written front pages for blogs, stories to be used in teaching elementary aged student Yvonne Glasgow is an author, poet, writer, artist, and healer. You may be surprised, but all of these things mesh well together, and through these passions, Yvonne works to help other people find their creativity through her writing. 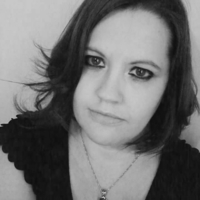 Yvonne has experience in social media writing, marketing writing, SEO and link building, and both short and long-form writing for articles and blogs. She has written front pages for blogs, stories to be used in teaching elementary aged students, and she has worked as a newspaper reporter/stringer/journalist for numerous print newspapers across the great state of Michigan. She has a passion for writing on the subjects of health & wellness, including things like art therapy. You can find Yvonne’s reviews online in various places, including Amazon and Bandcamp. Yvonne created her first poetry book ever when she was in the first grade. Since then she has never stopped writing. However, writing isn’t Yvonne’s only love. She has a passion for art, mixed-media collage, painting, drawing, crafting, sewing, music, and more. If it can be considered “creative,” it’s pretty likely Yvonne loves it. She also has a passion for helping people and for healing (mind, body, and soul), which drove her to get her Philosopher of Holistic Life Coaching Degree in 2011. After a few years of writing reviews for Music Revue Magazine in Grand Rapids, in 2003 Yvonne was hired on as their last editor-in-chief for the original owner. She remained with the magazine until September of 2005. In the next few years Yvonne honed her online writing skills, and in 2010 she started working freelance from home. Before that, in 2008, Yvonne published her first book (in the traditional manner). It was a children’s picture book in which she also created all of the art. Frankie the Firefly Belongs would lead to numerous self-published books, in multiple genres. While all of her previous books are out of print, Yvonne is diligently working on new ones. When she’s not writing, Yvonne can be found doing many other artistic side projects, including hosting occasional arts and crafts night at the home she shares with her professional musician fiance, Dale Wicks. She is currently learning to play the ukulele and organ/piano. She crafts, paints, draws, and so much more. In 2018 Yvonne started her own publishing company, Glass Goat Publishing. She also re-launched #supportgrandrapids as a literary journal. Yvonne is currently working toward a Doctor of Divinity in Spiritual Counseling degree when she’s not writing articles, reviews, or working on her book ideas. To ask Yvonne Glasgow questions, please sign up. We’d love your help. Let us know what’s wrong with this preview of Retrain Your Brain by Seth J. Gillihan. Bigger than All the Night Sky: The Start Of Spiritual Awakening. A Memoir. I loved this book, from birth to awakening. It's an inspiration guide to the author's spiritual awakening that will start you on the path to your own. I've been a witch and practicing pagan since I was 13 years old... I'm no beginner, but I still found lots of great info in this book. It's a great refresher course, an excellent guidebook, and worth having in the collection. We’d love your help. Let us know what’s wrong with this preview of The Door to Witchcraft by Tonya A. Brown. A comprehensive guide for beginners and pros. All you need to know to make some soap at home. We’d love your help. Let us know what’s wrong with this preview of The Complete Guide to Natural Soap Making by Amanda Gail Aaron. Awesome guide, even if you aren't a beginner! We’d love your help. Let us know what’s wrong with this preview of Crystals for Beginners by Karen Frazier.